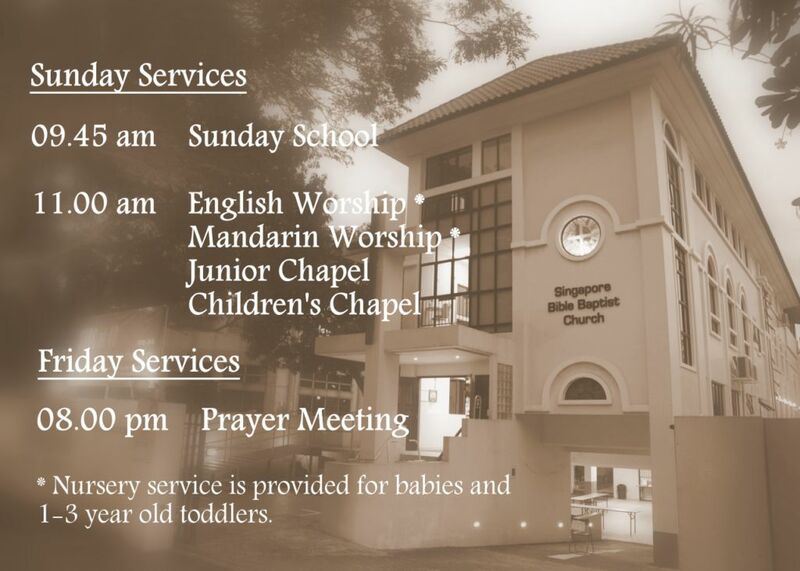 Welcome to the website of Singapore Bible Baptist Church! We are a Bible-believing and Bible-practising independent Baptist church. We stand by and preach the inspired Word of God. Our members are warm and friendly and we invite you to worship with us. May you find our services a holy time of true worship to our living God! informed once your account has been activated. Members and visitors can now update your contact information with the church office through this website. Update your particulars now or click "Members Update" on the right hand column and follow the instructions given.